Club and district leaders, an array of membership resources can help you engage current members, connect with prospective members, make new members feel welcome, and assess and develop your club. Rotary’s club brochure template, available on the Brand Center, is a great way to show prospective members what you’re about. The customizable brochure allows you to upload photos of your club in action to show your community its projects and events. Welcome new members to your club with the New Member Welcome Kit. Rotary Basics, a guide to all things Rotary, and Connect for Good, which explains all kinds of ways to get involved, are included in the kit. Help your club stay relevant by conducting an annual Club Health Check. The health check helps you identify problem areas and suggests remedies. Find tips for boosting your membership in Strengthening Your Membership: Creating Your Membership Plan. Younger professionals can bring new ideas and energy to a club. Explore Engaging Younger Professionals, a new online toolkit that will help you understand this audience, enhance your club’s culture, and engage emerging leaders. 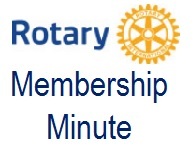 Finally, Rotary has a series of membership courses available in the new Learning Center. From building a diverse club to practicing flexibility and innovation, each course includes a variety of materials, including self-guided learning modules that allow you to explore real-life scenarios similar to those you may experience in your club. Visit the Learning Center today! All membership courses are highlighted in purple. All these resources and more can be found at rotary.org/membership. Join us for the webinar Building New Clubs Together on Thursday, 9 August, 15:00-16:00 Chicago time (UTC-5). Register and see the webinar in your time zone. All registrants will receive a copy of the recording and slides. Do you have an idea or project that you want to share with your Rotary family? Breakout sessions can inspire attendees, help them polish their leadership skills, or give them ideas for designing projects, raising funds, strengthening membership, and more. Help us build a breakout program for the 2019 Hamburg convention that celebrates Rotary’s diversity! We’re seeking sessions in English, French, German, Italian, Portuguese, and Spanish. Submit your proposal online by Sunday, 30 September. If you have any questions, contact us at conventionbreakouts@rotary.org. 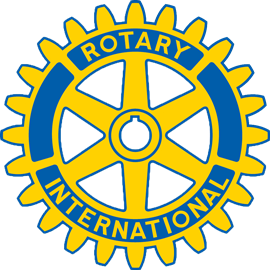 President Barry Rassin has challenged clubs and Rotarians to Be the Inspiration in 2018-19. Here are a few ways you can do that. What is your club’s value proposition for young professionals? The key to attracting and retaining young professional “customers” is presenting a value proposition that is appealing. Read about what young professionals value.